Mother’s Day always seems to creep up on me. All of a sudden you’re scrambling to find the perfect gift, nail down the perfect place, and oh yeah – brunch. You all know how I love food, but this year I want to slow things down with a little Mother’s Day brunch at home. You know how you can always count on mom’s fridge to have the right food, even in a pinch? That’s how I feel about string cheese. 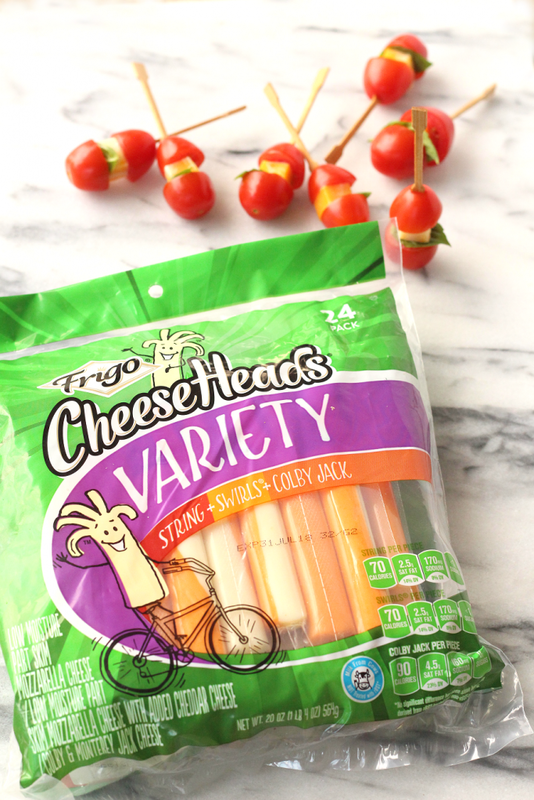 Good thing my fridge is always stocked with Frigo® Cheese Heads® Cheese. Great for everyday kid-snacking and mom-approved, I knew that this comfort food had just the right place on my Mother’s Day menu. 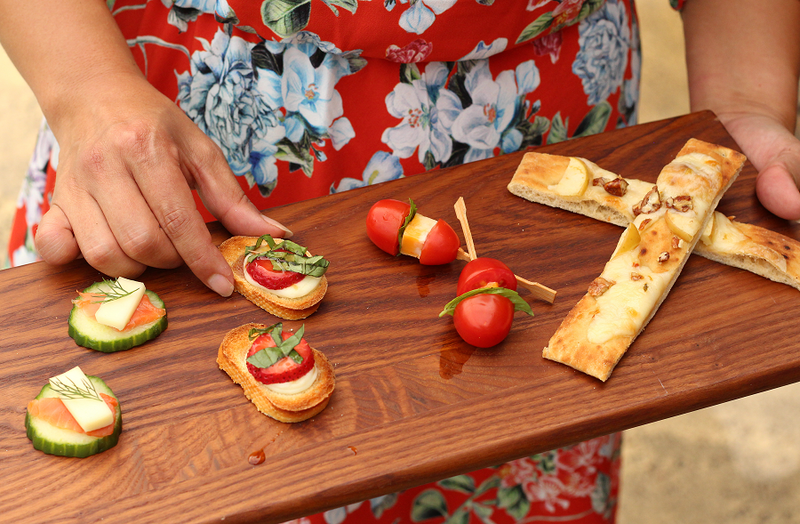 So that got me thinking of a simple brunch: appetizers, cheese, loved ones. Perfect. Here’s how these Cheesy Mother’s Day Brunch Bites came to be. Grab the recipes! This is hands down my favorite of the four brunch bites. The combo sounds strange, but I promise the sweetness of the apples and pralines balance the spicy kick of the pepper jack cheese perfectly. Cut pepper jack cheese into long strips. 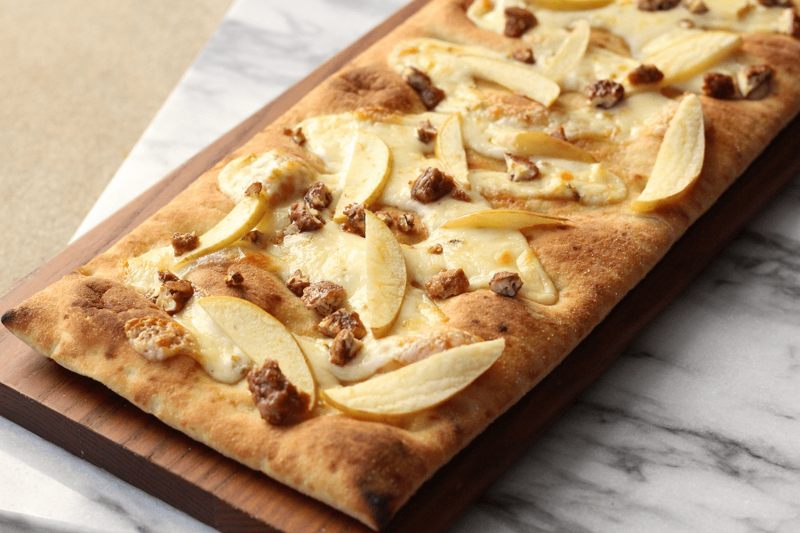 Layer on top of the flatbread. Top with apple slices and pralines. Bake in oven at 400 degrees for about 5-10 minutes, or until cheese is melted. Serve warm. Slice the baguette. Top with sliced gouda. Bake in oven at 400 degrees for 5-10 minutes or until cheese is melted. 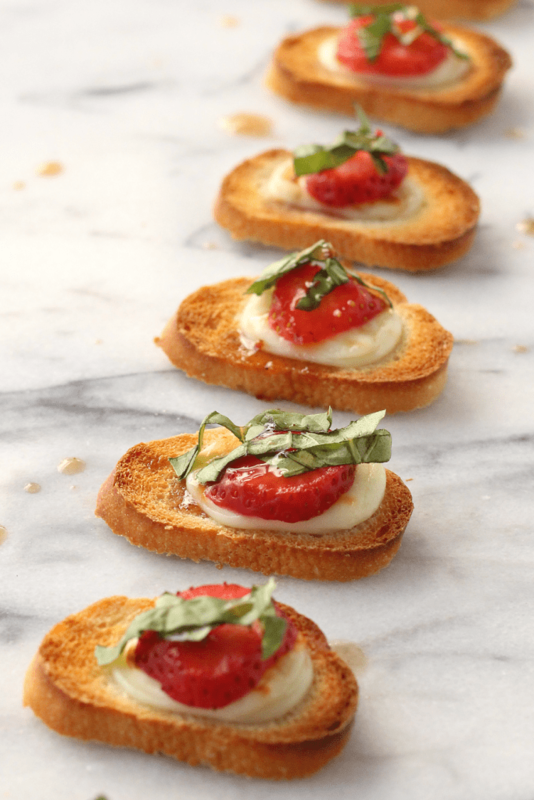 Top with sliced strawberry and chopped basil. Drizzle with strawberry vinaigrette dressing. Serve immediately. 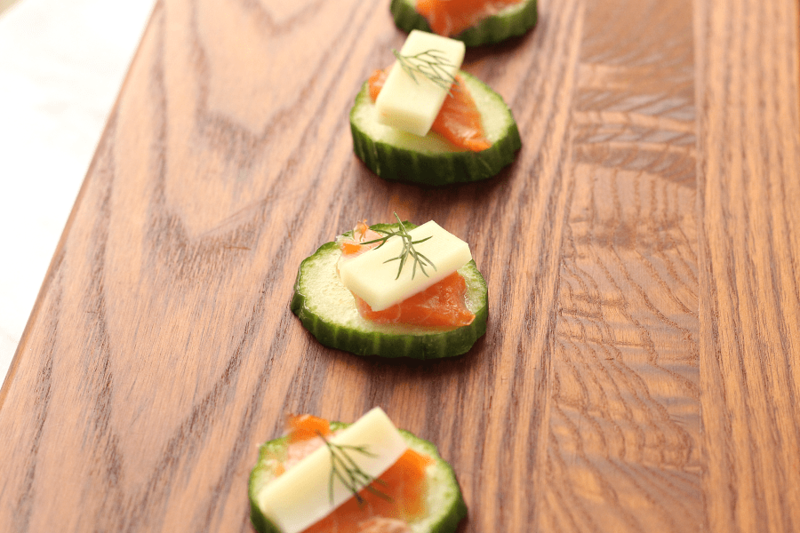 Layer cucumber with slice of light string cheese. Add a piece of smoked salmon. Top with fresh dill. Serve immediately or store cold. Yes, it’s THAT easy and tastes ah-mazing! Ready to take your Mother’s Day Brunch up to the next level? 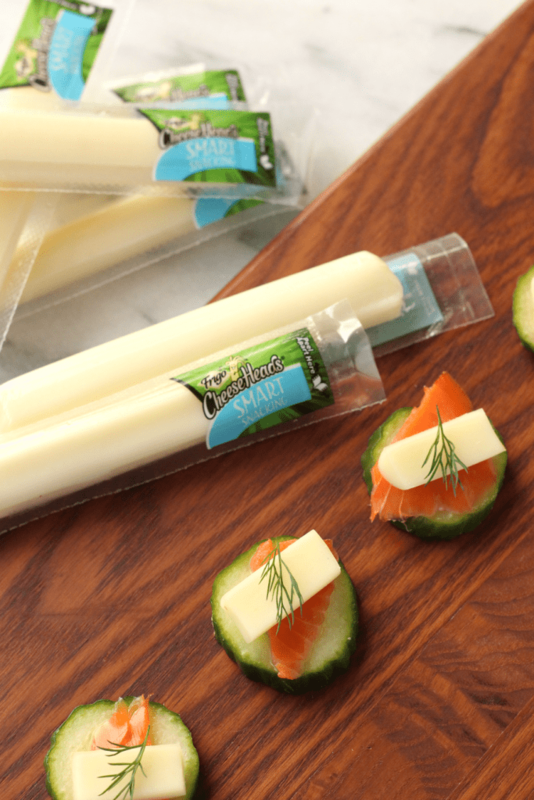 Spoil mom with these Mother’s Day Brunch Bites and stock up on Frigo® Cheese Heads® Cheese at your favorite retailer. 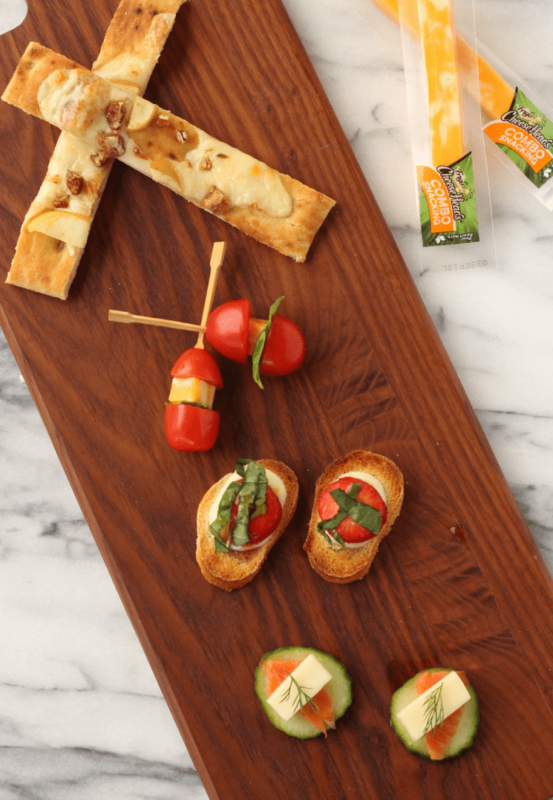 Follow Frigo® Cheese Heads® via Facebook and Pinterest for the latest in tasty cheese snacking for the whole family, especially mom. How do you celebrate Mother’s Day? Which of these Mother’s Day Brunch Bites would your mom love? Be sure to follow Raising Whasians via Facebook, Twitter, Google, Instagram, Pinterest and YouTube for delicious family recipe ideas, kids crafts, travel tips & more. These are great mother’s day snack ideas. 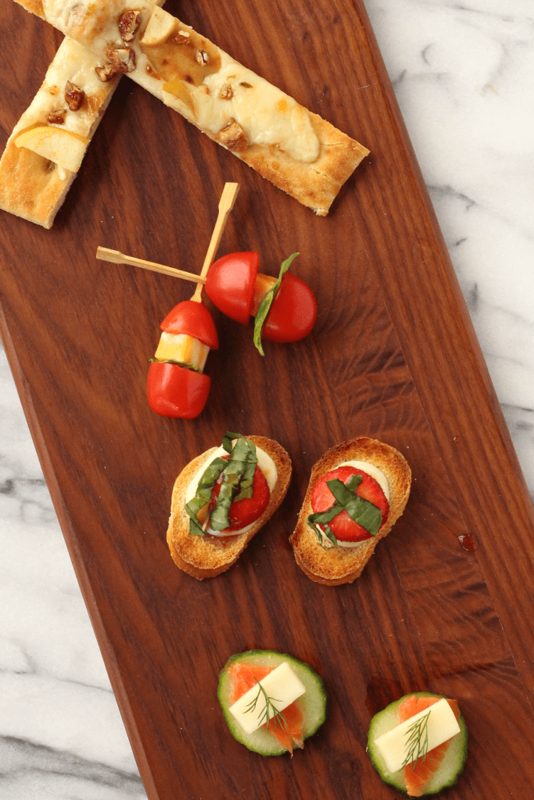 These are awesome appetizer ideas, they all sound delicious! I love all of the unique flavor combinations. 🙂 Thank you so much for sharing! 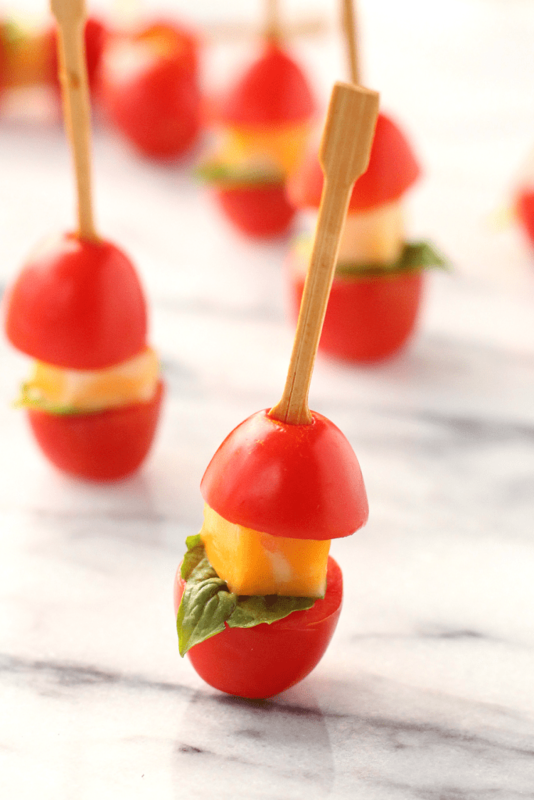 I’m going to make the tomato and cheese snack for my granddaughter.